EJ will be doing a show and tell for European style nymphing and will be tying his specialty, the woven nymph, on Saturday. We try to reserve the max. amount of tags for the Nature Conservancy section on the McCloud for Friday for those that want to fish this beautiful stretch of river. We will make reservations for Thursday, Friday and Saturday night at the campground. We have several BBQ pits and have access to hot showers on the campground. Some of us will go up on Thursday afternoon to fish Friday and Saturday. 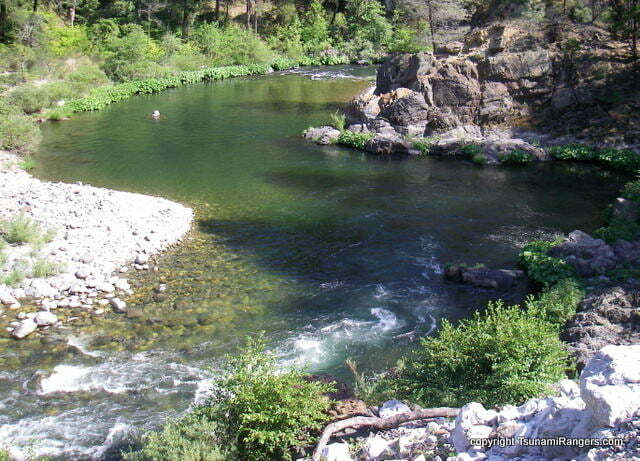 If you don't like campgrounds there are reasonably priced lodging options nearby in Dunsmuir.